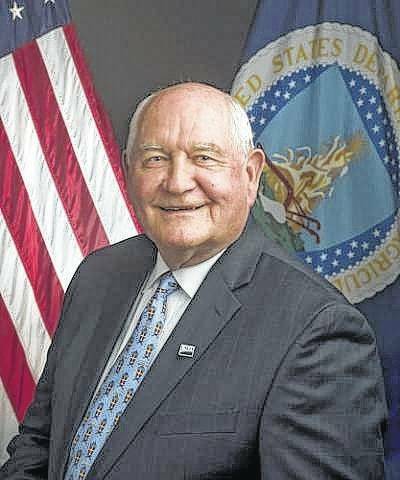 U.S. Secretary of Agriculture Sonny Perdue is tentatively scheduled to be the keynote speaker at the Southwest Ohio Corn Growers and Fayette County Agronomy Field Day on Tuesday, Aug. 15 at the Fayette County Airport. Perdue — a former farmer, agribusinessman, veterinarian, state legislator, and governor of Georgia — became the 31st United States Secretary of Agriculture on April 25. According to his bio, Perdue came by his knowledge of agriculture the old-fashi0ned way: he was born into a farming family in Bonaire, Ga. From childhood and through his life in business and elected office, Perdue has experienced the industry from every possible perspective. Perdue has pledged to be an unapologetic advocate for American agriculture. The annual field day event will be held from 9:30 a.m. to 3 p.m. Admission is free and lunch is provided. – Programs available to plant pollinator strips: Katie Maust, USDA Farm Service Agency, and Will Newman, Pheasants Forever. All-day events will include: corn and soybean plots, two $500 gift certificate drawing for Ohio Corn Grower members, a trade show, plane rides from FCA Flight Training, health screenings in the morning, and CCA credits and private pesticide re-certification credits offered. The Fayette County Airport & Demonstration Farm is located at 2770 State Route 38, Washington Court House.